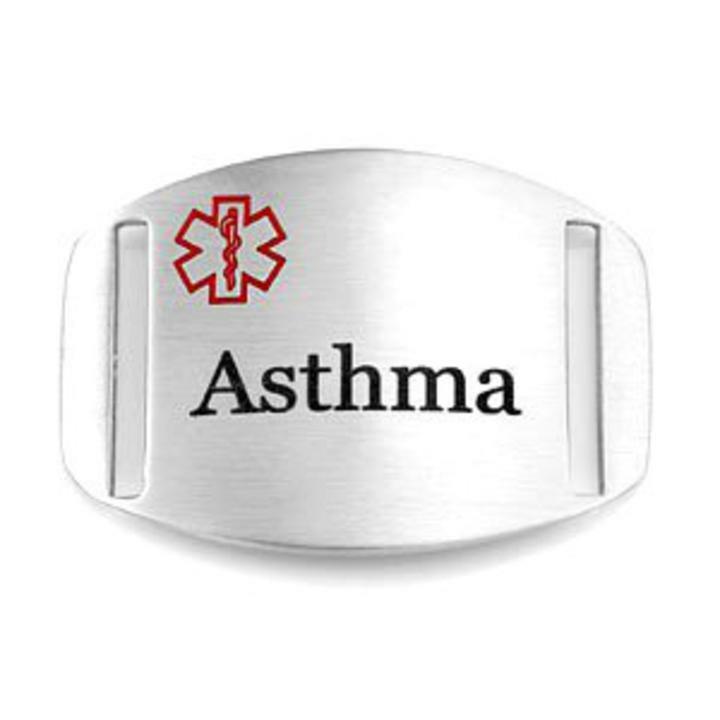 Asthma pre engraved surgical stainless steel medical id alert plate is made so that you can interchange it with our sports band bracelets 2 and our our adjustable fast strap hook and loop style sports bands. 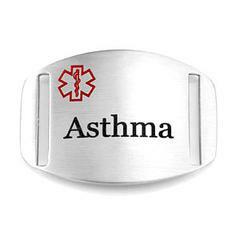 Our stainless steel pre-engraved Diabetic medical id alert plaque measures: 1 3/8 x 1 inch. This does not come with any engraving offered, just pre engraved on the front.